Well here we are. A potential NFC championship game preview in week 9 of the NFL season. Simply put this is a dominant team on both sides of the ball. - For the Saints the pass rushing news wasn't good. Daddyport is probably out for around a month with a toe injury. The rookie was showing some great ability and contributed in all phases. Alex Okafor and Trey Hendrickson really need to step it up while he's gone. - On the other side, the Rams deciding their D wasn't frightening enough traded for Dante Fowler Jr., from the London Jaguars. Heck. - O-line vs. Rams D-line: Fowler Jr., Brockers, Suh and Donald are a fearsome pass rush as they come. Our O-line has kept Brees clean for most of the season and will probably face the toughest test this week. - Gurley vs. our front 7: Todd Gurley is a monster. The MVP candidate is having himself a top notch season. Our front seven will need to be at their best to slow him down. - Thomas, Smith and Meredith vs. their secondary. I've read that Peters and Talib haven't been as good as advertised (not to say they haven't been better than average, because they have) when Joyner was asked to play single high coverage. Along with Thomas, we need either Smith or Meredith to really have a good game. - Kupp and Cooks vs. our secondary. Apple showed he is a good #2 CB beside Lattimore. PJ "NFC Defensive player of the week" Williams showed he is horrible. His stats were 7/8 completions, 2 TDs and 144 yards when targeted. It's not like Cooks or Kupp are any good in the slot right? - Pass rush. The Saints NEED to be able to pass rush this game. 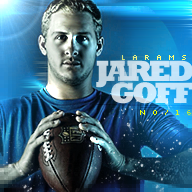 Never let Goff be comfortable. They rank below average in pass pro and I think we need to be able to exploit that. - This is JMO and probably wrong, but I think we'll see Payton keep with the run and push the pace on offense. Quick passes, 3 step drops and a healthy dose of the screen game. Simply put if we can keep the ball in our hands, it gives the Rams less chance to burn PJ Williams. They rank below average in pass protection? I was under the impression they were pretty good at it. It would be so sweet to hand them their first loss of the season. I'm going on Sacks given up, but I'll digress in saying it might not be the best metric. I was just curious because Rams fans have been talking great about their o-line. It was great but Denver and Green Bay both got to Jared for a handful of sacks. The Rams oline is the best in the NFL. ESPN has them #1 in PBWR (Pass Block Win Rate). That means the oline hold their blocks for at least 2.5 seconds. A lot of the sacks Goff has been taking is on him for holding on to the ball well past 2.5 seconds. So according to the metrics it doesn’t hurt the Rams oline because they did their job. They held their blocks the league average 2.5 seconds but Goff didn’t get rid of the football. Also PFF has both Rams tackles top 5 and both Rams guards top 5 at the positions. On a side note, ESPN has the Rams defense ranked #1 in PRWR (Pass Rush Win Rate). Rams lead the NFL in pressures. Donald leads the NFL in sacks with 10. He has 6 sacks in the past 2 games. Not to mention the Rams added Fowler Jr. who is 13th among DE/OLB in PRWR and he only has 105 pass rushes. Now he gets to rush the passer more with Wade as his DC. 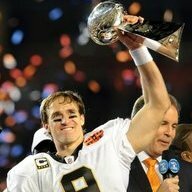 I think this is the game we Saints fans have been waiting for to say "we are for real". Sure, the Ravens game was up there, but now they're struggling a bit. This game will help either team find their identity, and will undoubtedly be the chess match of the year so far. I'm looking at this 8-0 Rams team and who they've beaten. And I'm looking at the 6-1 Saints and who they've beaten. 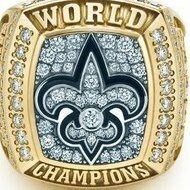 The Saints opponents all together (including loss to the 3-4 Buccs) hold a 22-29-1 (.423) record. This is certainly the game of the week, and will have full implications of the best team in the NFL. I’m still shock that Sammy and Tyler legit have been ducking and running. Like wow. when he challenges Hector. Except both these bozos jumped on a ship and are headed to Spain! Leaving their women and children behind. We are the underdogs here and we should be. I kind of wish they'd flexed us to Sunday night. Drew's money in prime time. Ah well. On paper we should lose but not by much - Vegas has this at Rams -1.5 right now and that feels right. The Rams are better than us in nearly every statistical category save 1 or 2. Their defense got a lot stronger this week and ours got quite a bit weaker. But we all know how hard it is to keep winning when you're undefeated. In that regard, this game reminds me more of the 09 matchup where a very different Rams team nearly derailed our undefeated season. In our case that year, we stumbled a few times before Dallas finally beat us rather convincingly to end the streak. I don't know if we're the guys to break the Rams yet, though. We're wounded on our DL, our OL and secondary so a 10-15 point loss wouldn't surprise me a bit. We've looked shaky against both Minny and especially Baltimore. Wouldn't be surprised if we won by 3-7 either, though, cause we can be frustratingly tough to beat if we decide to play at your level. 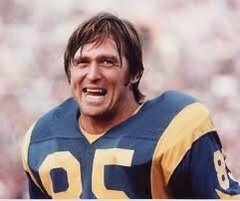 I'd love it if the Rams had a super down day; the elation from outlasting Rodgers coupled with the pressure of staying unbeaten is too much and they fold against us making tons of mistakes and gifting us short fields. Unlikely of course but I can wish. Failing that, let's do this injury free and a 2-5pt Saints win, please. Hell I can live with a 1 point win. That way we can blame the zebras and life can go on as it always does. Honestly, I just don't care for sig bets. If I win there isn't all that much for me to get excited about. Looks like you already have someone to bet with you from the Saints forum. I don't really care about being "macho" on an internet forum lol. It’s called walk it like you talk it mate. Youve been yapping a lot. I had thought this before I looked it up, but I looked it up out of curiosity. Brees worst time of day is afternoon, where he has a 90 rating. His best time of day is night, with a 105 rating. Morning is 104, noon is 97. But I wonder how much of that afternoon rating is influenced by all the later games he played while with the Chargers on the west coast. Even still, if feels like the team as a whole doesn't do as good in the afternoon. Maybe coincidence, maybe not, but there it is.